The user base of Tokyo Otaku Mode is mainly interested in Japanese anime, manga, games, and other areas of Japanese pop culture. Therefore, PR content related to this same media subset, as well as business marketing through the use of pop culture can be effectively utilized. 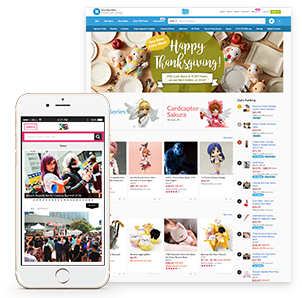 Also, because Tokyo Otaku Mode’s user base primarily consists of overseas users, marketing geared toward this audience can also be achieved. A traffic engine for gathering otaku from all over the world. More than 99% of Facebook fans are from countries outside Japan! This number is spread across more than 100 countries! 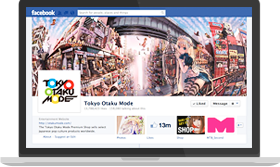 Through its News platform and Facebook page, Tokyo Otaku Mode shares the latest information about Japanese and otaku culture with users around the world. Featuring news articles on social media allows users to share the information with their own networks, which extends the reach of the content. Tokyo Otaku Mode also operates a Shop that provides popular Japanese products to over 100 countries, as well as a Gallery through which TOM Special Creators can publish their work.